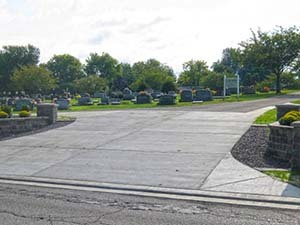 Saint Louis Cemetery is owned by the Diocese of Owensboro, and managed by Holy Name of Jesus Catholic Church Parish. Saint Louis Cemetery was formally incorporated in 1939, but dates back to the late 1800s as the parish cemetery. It was named after the Saint Louis Church, the original name of the parish.